No more excuses not to have a least one women on panels or as a speaker/chair at events held in the UK. The Speaker Bank is a database of female speakers highlighting their areas of expertise visit the bank. If you want to join the bank please complete the form on Maritime UK’s website and you will be added to both sites. 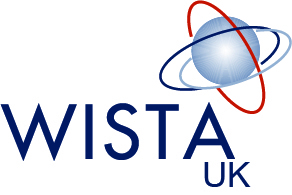 Each year, WISTA UK identifies projects designed to address essential strategic questions facing our industry and our members. During 2014 we wish to celebrate our 40 years by taking our networking a step further We wish to throw open our doors to the public. Our aim is to encourage young people to think about the maritime/shipping industry as a big opportunity to look for jobs. This could be a life changing opportunity for some. The UK is heavily dependent on the maritime trade; over 90% of the goods we consume and export come (or go) by SHIP, but most of the public has no knowledge of the importance and necessary are those ships for our economy –food, fuel and goods. Merchant shipping is the lifeblood of the world economy, there is an estimate of 102,000 commercial ships worldwide. They operate on the high seas, as well as on short distances among neighbouring countries (short sea) or from port to port within the same country (cabotage). We want to inspire the young generation, by making the young people interested and think in our industry; if we could be their inspiration to look for a job opportunity within, or to get training to join our sector, this will mean that our work/mission has been worth it. If all together we can manage to attract young talents, we then can retire thinking that our legacy is safe in their hands and our industry will carry on. For all of us that have a passion for shipping, this is very important, the certainty that our enthusiasm and wisdom is carried on by today’s youngsters. We were like them once upon a time, naïve and inexperience, but we were lucky enough to go into an industry that we love. Once the shipping “virus” got into us, we felt in love with shipping and never looked back! Therefore, let the Came by SHIP campaign and WISTA UK inspire you to inspire others. WISTA International holds an annual conference every year, where the global members of WISTA meet. Standing room only at our event explaining the virtues of becoming a NED by Fiona Hathorn (Women on Boards) and our member Mairead Ni Cheoinin gave a highly entertaining speech on her experience of being NED and some fantastic insight to the number of women NED’s in maritime companies.